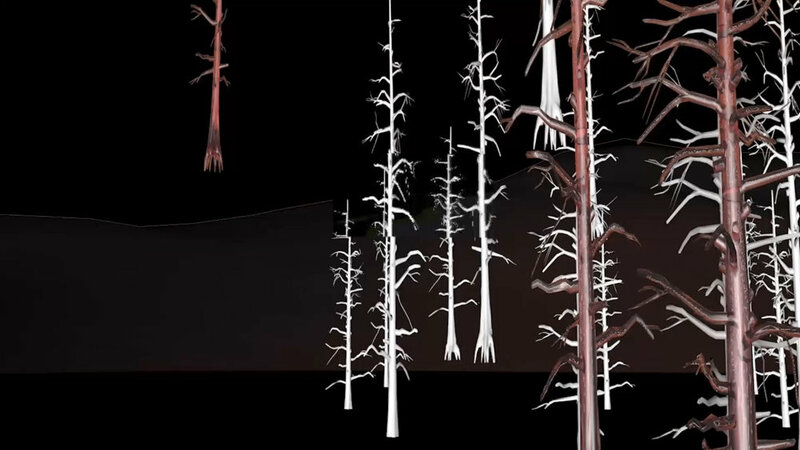 Steal Fire uses digital animation and found video footage to visualize recent forest fires in the western United States. The story of Prometheus and the myth of the Theft of Fire provide a narrative context for understanding the simultaneous seduction of fire and also its capacity for destruction. It considers the relationships between satellite imagery, drone technology, and data visualization, as well as the circulation and resolution of images, ultimately interrogating the role of media and technology in desensitizing us to stories of disaster.